Hold this posture to increase your energy and begin to rebalance your body. 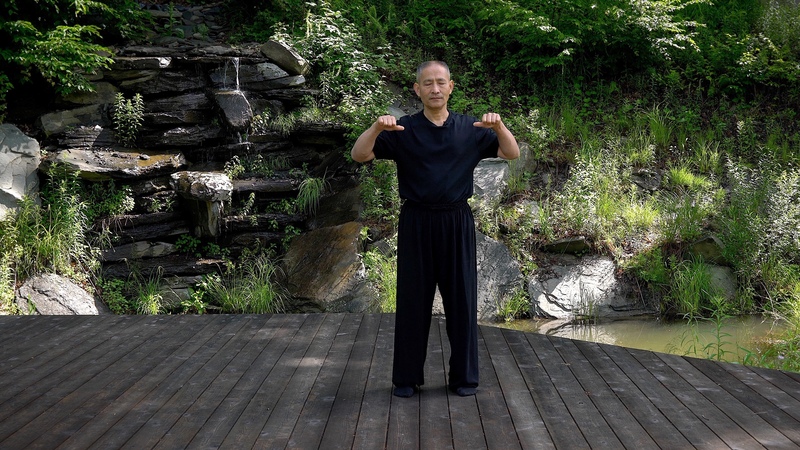 People have practiced this standing meditation as their introduction to Qigong. Stand with your feet hip-width apart. Extend your arms at chest level, and make a loose fist. POint your thumbs to each other and draw your arms back. Close your eyes and feel the wave of peace that fills your body. With consistent practice, you will build your stamina to hold this posture beyond a 10-minute session!